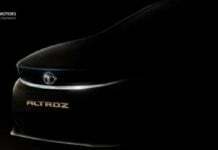 The Tata Altroz EV made its global debut this month at the 2019 Geneva Motor Show. 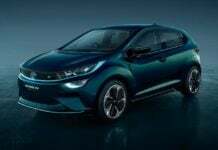 It is based on the ALPHA architecture and will cost above INR 10 lakh. 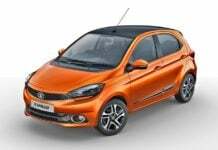 With majority of the demand for the Tata Tiago and Tigor comprising of petrol derivatives, it does not make sence to upgrade their diesel engines to BS-VI. 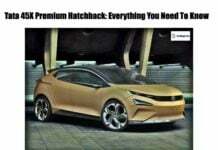 Tata 45X based hatchback will be based on the automaker's ALPHA architecture and will be slotted above the Tiago to compete against Maruti Suzuki Baleno. 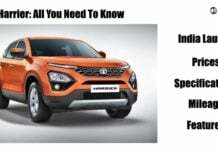 Tata Harrier launched in India – Get Prices and Features! 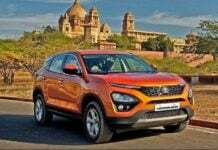 Tata Harrier, the flagship SUV from the brand, has been launched in India. Get prices, specifications, features, safety features and more! 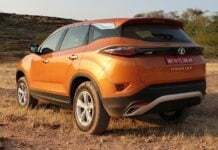 The 7-seater iteration of the Tata Harrier will get a BS-VI complaint and more powerful version of the existing 2.0-litre Kryotec diesel engine. 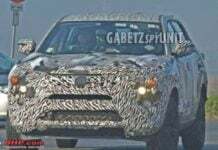 Tata Harrier testing in Italy ahead of its India launch! 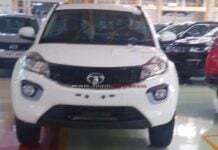 The Tata Harrier SUV will launch in India on the 23rd of January this year. Prices are expected to fall in-between the range of INR 14 lakh to 19 lakh.